Taconic Wed+BrewDog Fri+Rua Sat+Weekend Wines! Tactonic Wed+BrewDog Fri+Rua Sat+Weekend Wines! 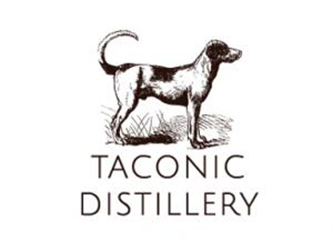 Special Wednesday Tasting with Taconic Distillery! This Wednesday, we will have the folks from Taconic Distillery in the house to let ya'll taste their Bourbon Whiskeys! It's also the first day we will have our Single Barrel Selection available for sale! 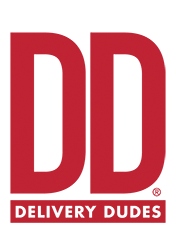 Taconic Distillery, established in 2013, is a purveyor of fine craft spirits located in the Hudson Valley of New York. We handcraft our award-winning bourbon and rye whiskies in small batches using the finest ingredients, including grains grown in New York and natural spring water from our farm. Inspired by hunting and fishing, Taconic embraces a passion for the outdoors and that passion is imprinted on all our spirits. Stop by between 4-7pm to try these excellent spirits! Preston's Picks for Beer Thursday! This Thursday, Preston will surprise you all with his selections for the week! Stop in between 4 & 7 pm and find your favorite or mix up a six pack with a couple of each! This Chardonnay is tempting for the saint in all of us. Light, bright and refreshing with a touch of softness. Bright aromas of slightly toasted pears with underlying citrus notes lead to a heavenly mix of fresh pear and ripe melon flavors. The creamy yet juicy mouthfeel will have you thinking this wine was made with divine intervention. Be good and pair this wine with tuna and avocado tostadas, or lemon chicken! This dry and easy-drinking rosé reveals a fresh bouquet of strawberry, citrus and white peach. Dry with a bright finish, it's a classic French wine to sip all year long. Grenache/Syrah blend. This wine, handcrafted by eco-friendly winemaker Philippe Trotignon, is made from 25-year-old vines growing on sandy, chalky, and silex soils. 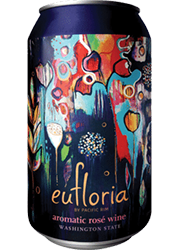 This wine has bright ruby colors and intense aromas of ripe, sweet, red and black fruits with soft dark spices. 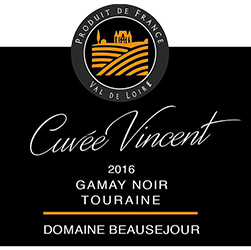 On the palate, it is round, very soft, and well-balanced. This is a round, fruity, and meaty wine that will pair well with charcuterie, cheese, and your day to day meals. Aroma: Floral, orange blossom, strawberry. Taste: Strawberry, peach and citrus blossom. Food Pairings: Sip with aperitifs or pair with grilled vegetables and fresh salads. One can is equal to half a bottle of wine (750ml)! 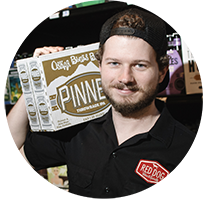 This Friday for our Free In-Store Tasting, we will have Nashville Rep Eric serving up delicious brews from BrewDog! 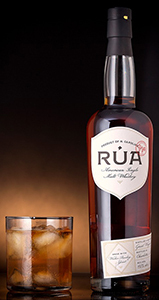 This weekend, we will have a representative from Rua in the shop to let you sample their Single Malt Whiskey! This single malt whiskey begins with non-GMO organic barley that has been distilled four times in a Copper Kothe still, cut to barrel strength with spring water from the Blue Ridge Mountains and patiently aged in 25 gallon American oak barrels. When the time comes to harvest, we cut to bottle strength with more of that beautiful spring water. Non-chill filtered, Rua features beautiful notes of vanilla and caramel complemented by a full body with notes of fresh baked bread and praline before a long, sweet finish. Stop in between 3 & 6p and give this delicious whiskey a try! SweetWater Thurs+Dogfish Head & Hochstadter's Slow & Low Rock and Rye Fri+Somrus Sat+Weekend Wines! Brooklyn Brewery Thursday+Black Abbey Fri+Weekend Wines!